Some of the more interesting spots in Japan are the ones that are not really on the way to anywhere else at all. A sense of remoteness and being firmly off the beaten track lends them a particularly beguiling character. 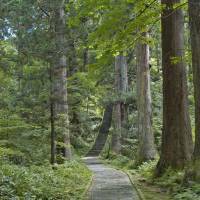 In the northeastern neck of the country on the decidedly less traveled Sea of Japan side, Yamagata Prefecture is one of those places that you generally have to go well out of your way to reach. And that sense of intimate seclusion adds to the appeal of Mount Haguro. This 414-meter protrusion is one of the three peaks that constitute the Dewa Sanzan, meaning the “three mountains of Dewa” — the former name for Yamagata Prefecture — and the links among the trio are more spiritual than physical. Each of the mountains hosts a Shinto place of worship, and the long trail connecting the three shrines has been dutifully plodded by pilgrims since ancient times. In this modern age, latter-day pilgrims can enjoy the creature comforts of a motorized ascent up Mount Haguro, which is the lowest of the peaks. But taking the easy way up really is to miss out on the finest aspects of the mountain. At the end of the nearby town of Haguro-machi, a gateway in fading scarlet and fronted by a statuesque pine marks the beginning of the pilgrimage trail. From there, after a 10-minute walk that takes you into a forest where deep moss clothes the rocks and stone lanterns by the pathway, past a waterfall with its own tiny dedicatory shrine and over an arched wooden bridge, you find the pagoda. Japan, of course, doesn’t exactly suffer from a dearth of pagodas. But rather than standing within the well-swept precincts of some moneyed temple, this isolated and weather-beaten five-story structure in the depths of the jade-green forest wears a simple unaffected magnificence. 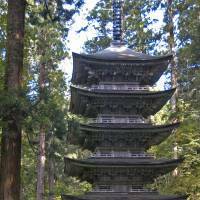 Occupying this wonderful natural site, the 600-year-old plain-wooden pagoda is quite possibly the finest in Japan, as well as being a designated national treasure. From there, you ascend the 2,446 stone steps that form the main thoroughfare to the summit. The steps are flanked by stone lanterns, and you find yourself climbing through a dense forest of immense, pillar-like cryptomeria trees. Halfway up the stone staircase stands a small wooden teahouse where you can find a little refreshment before continuing the ascent — while those really wanting to look the part can also pick up a pilgrim’s staff and conical hat. The teahouse is run by two charming ladies, who are grateful for company on slow days. Sign their visitor’s book and they happily hand over a certificate proving you made it to the top — taking it on good faith that you will in fact do so. 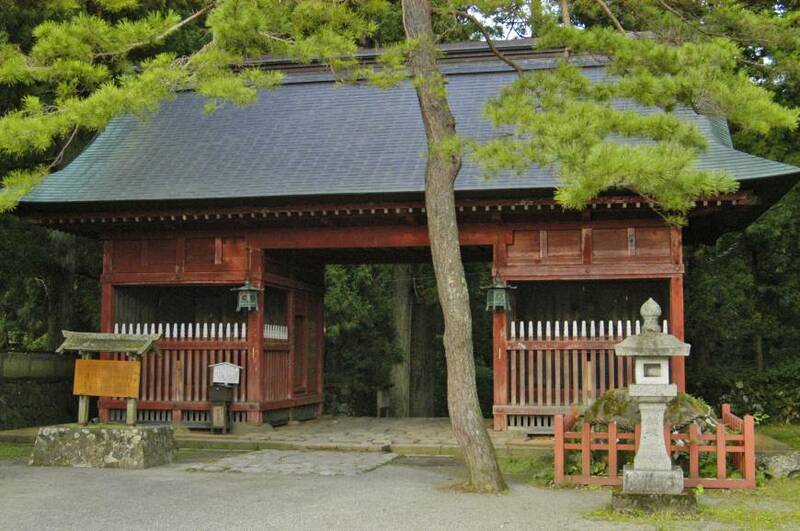 What those reaching Mount Haguro’s summit actually find is the Dewa Sanzan Jinja shrine, dedicated to the three deities of the three mountains. Its main hall in eye-catching vermilion is impressively topped by a 2.1-meter-thick thatched roof that is the thickest in Japan. 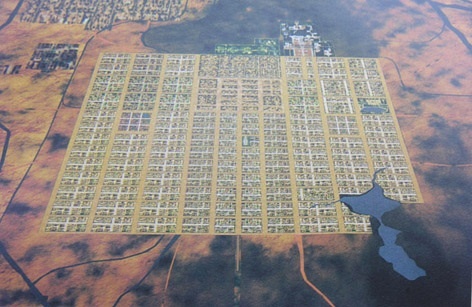 Those three shrines are officially designated as Shinto places of worship, but the chief religious associations of Dewa Sanzan are somewhat different. This area is one of the main centers of Shugendo, an ancient sect that combines elements of Buddhism, Shinto, Taoism and mysticism. 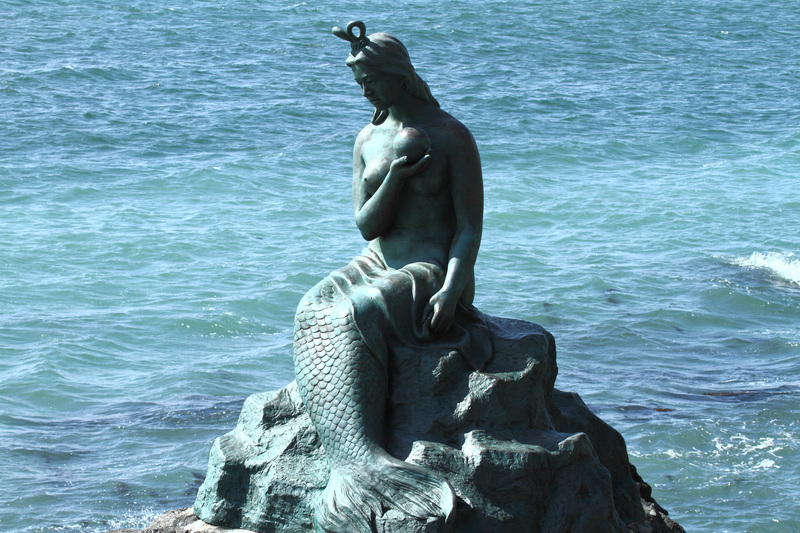 The syncretic nature of Shugendo is certainly evident at this shrine. Though the priests wear Shinto garb and torii gates stand around the grounds, the architecture of the hall is Buddhist and carvings of such exotica as elephants, tigers and plants ornament the structure. The practitioners of Shugendo are the rather offbeat mountain ascetics who go by the name of yamabushi (literally, “one who lies in the mountains”). You can’t help but like yamabushi. They gad about the mountains in clothing that looks as if they couldn’t be bothered to change out of their pajamas that morning. But they’re as hard as nails. 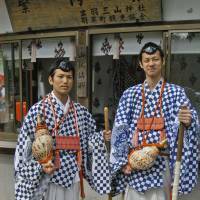 Yamabushi have been engaged in their severe spiritual enterprise since back in the Heian Period (794-1185). To attain holy, magical or other spiritual powers, they go into the mountains, where they conduct such incredible acts of austerity as standing under icy waterfalls for hours at a time. They are also associated with more spectacular feats such as walking on red-hot stones and climbing up ladders made of swords. Yamabushi can often be encountered on Mount Haguro, standing around in the somewhat less atmospheric environs of the summit car park among the usual tourist eateries. They are an affable lot, and though you are unlikely to see them performing theatrical exploits on the mountain, they are happy to let you take their picture. And if you ask them nicely, they’ll let you blow their conch. Among their plethora of symbolic items, such as the distinctive tokin black cap and a Buddhist rosary, the yamabushi sport a conch-shell trumpet known as a horagai. Played by a yamabushi, this produces an otherworldly sound — like the haunting songs of humpback whales calling out across the oceans. With some tourist’s lips around the mouthpiece, though, the noise that eventually erupts tends to be more akin to that of a rutting rhino. Yamabushi have long been associated with the supernatural beings known astengu who make colorful appearances in Japanese folklore as mischievous characters. 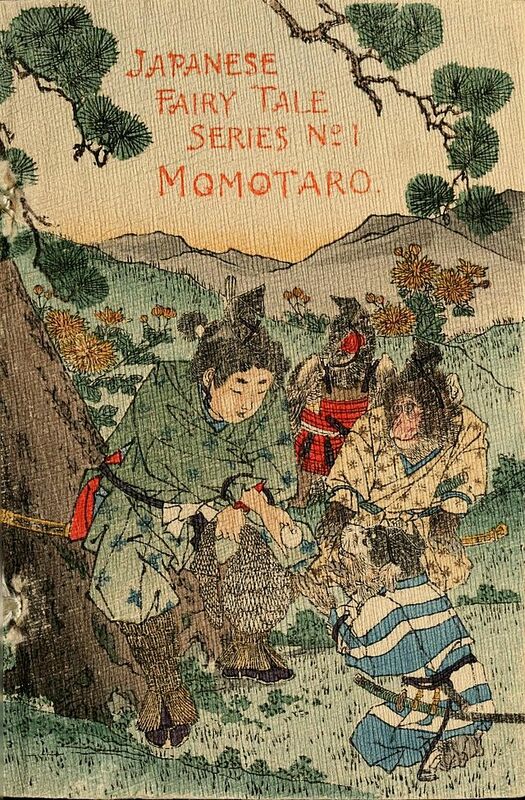 Like yamabushi, tengu are fond of high, forested mountains, far from human habitation, and they are often depicted wearing the distinctive garb of the yamabushi. Accordingly, along with the more usual religious paraphernalia, the Dewa Sanzan Historical Museum on the summit prominently features masks of tengu and their prodigiously sized noses. 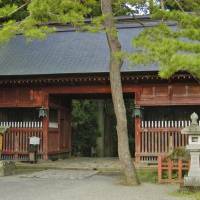 Having scaled Mount Haguro, the place to definitely seek accommodation would be one of the temples offering lodgings (shukubō) in Haguro-machi. Such temples are often thatched-roofed, elegantly atmospheric spots, which, despite the religious tenor, have fridges amply stocked with beer and sake for thirsty guests. These are places to appreciate the typical vegetarian temple fare of shōjin-ryōri, many of the ingredients for which will have been foraged locally. And you don’t have to be a yamabushi ascetic to appreciate this delightfully simple combination of strong and subtle flavors from the mountains.